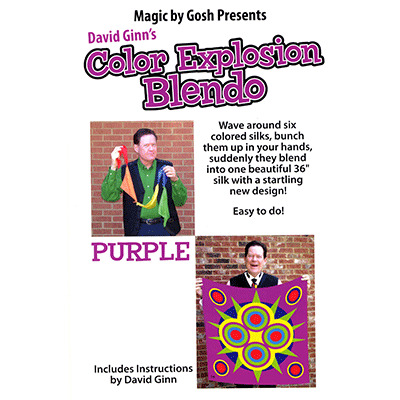 Color Explosion Blendo Set - Purple 36"
Exclusive David Ginn 36" silk pattern - wave around 5 different colored silks, bunch them up in your hands, suddenly they blend into one beautiful 36" silk with a startling new design! Come complete with five 9" silks, the big 36" silk, and instructions. Community questions about Color Explosion Blendo Set - Purple 36"
Review Color Explosion Blendo Set - Purple 36"